This lighting kit is perfect for the flowering of your plants thanks to its colour temperature of 3200°K. It is composed of a bulb Calitek CMH 315W and a reflector closed hammered PEBBLE DIAMOND in CIS. This reflector is very high quality, 97% reflection with its hammered appearance has a V central for a better diffusion. This electronic ballast is designed with a microprocessor internal to the lamp soft-start and detects intelligently the lamp voltage, the current in order to extend its working hours. Features dimmable can save energy both on the input side and output. Ignition shifted to be more effective to avoid the inrush current. A self-protecting mechanism perfect for prolonging its life. 2 year guarantee (fill out the warranty card at the end of the manual). Check out the new bulb MHC of Calitek ! A lamp horticultural ceramics , high-luminous efficiency for the growth of plants. The bulbs MHC combine the performance of the lamps to metal halide (high light output, excellent performance index of the color), the technology of the lamps Sodium High-Pressure tube (made of alumina, providing durability and stability of the light emitted). Why use a ballast, low-frequency square wave? Ballast electronic low frequency square wave, for better performance of your lamp of culture. Technology, square wave, selected by Calitek to power its bulbs CMH315W, it is more costly to manufacture than the technology in sine wave but it provides the power, the more stable the lamp, which increases the performance of the lamp. Design square wave provides a maximum voltage constant at the lamp for a long period of time, resulting in more photons of light for your plants. 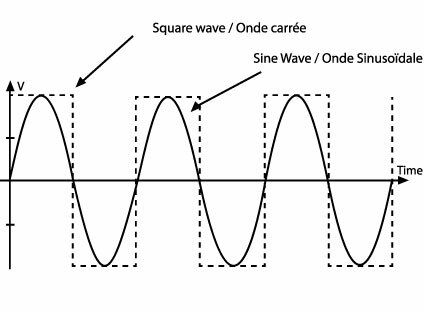 On the contrary, the design to a sine wave, provides a maximum voltage to the lamp for a shorter period of time. The low frequency avoids problems with RF interference and the resonant acoustic (premature failure of the lamp). All you will engage with a socket adapter to ensure the proper functioning of components between them.